In our last post, we told you 5 things you need to know about FRP Grating. For those of you that are not familiar with Fibre Reinforced plastic/polymer grating, this article will give you a simplified summary and helpful background on FRP before you dive into reading this post. 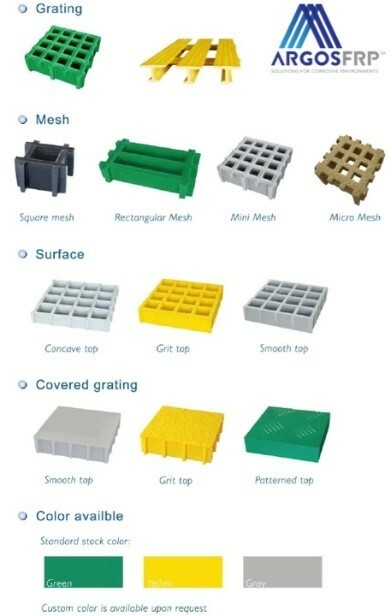 For those of you that ARE familiar with FRP, read on and learn more about factors to consider when selecting your grating in addition to how FRP gratings are commonly categorised in the industry. Other special requirements such as UV exposure, Fire rating, Colour etc. This step involves laying continuous glass fibres in the mould in vertical & horizontal directions. These are thoroughly wetted by the chosen resin (layer by layer). After the completion of the weaving process, the mould is heated for curing the panel. After the curing process is completed, the panel is ejected from the mould. Standard panels would have a meniscus (concave) top surface finish. Based on requirements we bond grit to the surface or finish the surface to have a plain finish. These are called secondary operations. The most important feature of the Moulded FRP grating is that they are an integral, one piece panel offering bidirectional strength. This is a standout feature compared to Pultruded FRP grating. Pultrusion is a continuous moulding process that produces products of the uniform cross section such as I beams, Channels, Flat bars, Rods, & other FRP profiles.  Preselected reinforcement materials such as fibreglass roving, mat, woven or stitched fabrics are drawn through a resin bath or resin impregnation zone where the glass substrate is thoroughly impregnated with the resin mixture (liquid thermosetting resin). This wetted out fibre is formed to a desired geometric shape as it initially gets pulled through the Preformer (Preforming Die) & then through to the Heated Die. Inside the die, the resin curing process is initiated by precisely controlling the temperature. The laminate then solidifies to the exact shape of the cavity in the die (Forming Process), as the pultrusion machine continuously pulls it. Cutting: An Automatic Cutter is deployed at the end of the machine to cut this Pultruded FRP section to desired lengths. Check out this visual to get a better idea of how this process looks. These individual pultruded FRP profiles such as I-beams, T-Profiles, rods etc. are later assembled to make Pultruded FRP Gratings of desired dimensions & load characteristics. Some of the key advantages of Pultruded FRP Gratings are that they can be customised to the required dimensions and they have superior strength (and stiffness) compared to Moulded FRP Gratings. With this said, it is worth noting that they are more expensive than Moulded FRP Gratings. Flame Spread = 0 (Example of Application: Emergency Egress Areas) (The USCG Structural Fire Integrity Level 2 (L2) is generally applied to Phenolic resin-based – Moulded & Pultruded Gratings). Have more questions about FRP Grating? For both Moulded and Pultruded FRP Gratings, we have various products types, surface finishes and suitable clips/fixtures available. Feel free to check out our gratings brochure for more details. Contact us here and let us know how we can help you.